Have Many Sounds Effects and confused what should you do ? Here available the best App Template you can use for insert all of your sounds effects and convert them to g-et money easily on playstore . 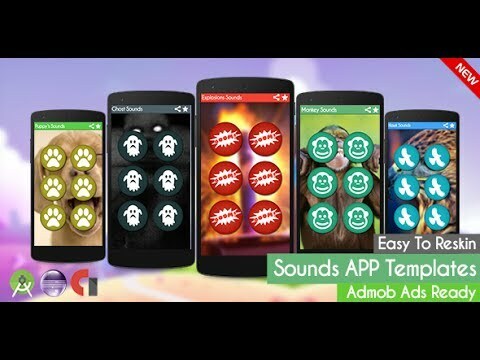 You can use this Sounds App Templates and start get money from admob . This App is really simple Sounds App Tempalates Which Have 6 Clickable button , Also really easy to reskin . You just need couple minutes to replace all images and the sounds . This app Generated using Buildbox Software , You can Use this template on both of Eclipse or Android Studio . Don’t be late , start using this template and get money using sounds App Templates .